Make sure that your birth certificate replacement has a birth time recorded. Even though some registrars in some countries would supply your birth time automatically, in most cases you do need to request the birth time to be added to your birth certificate copy or your replacement birth certificate. If you request your birth certificate online, make sure that the online copy of birth certificate will contain your birth time as well. Its best to inquire for this before you finalize your birth certificate application or before you do any online payment. To make sure that all the data in birth certificate copies are correct, apply for a certified birth certificate. It may cost a bit extra (depending on the regulations in your country or your state). Unfortunately not all countries have or had the rule to record birth times. If you cannot get your birth time from official registrars, you could still try to get it from your birth hospital. If all that doesnt work, and you cant get your birth time via a birth certificate online, we are always happy to help you, by calculating your birth time. The experts of BirthTime do that very well and even down to the second, which isnt recorded in birth certificates. Any birth certificate copy can only report your birth time to the degree of accuracy your birth time has been recorded. With the excited atmosphere during a birth some faults or inaccuracies can creep in the reporting of your birth time. Too often those helping in the birth process do not really care much about the birth time; more so, if there were any complications during the birth. One indication of such inaccuracies can be birth times rounded to 5 minutes, 15 minutes, half an hour or even a full hour. See the page Inaccurate Birth Times for more details. The procedures to get a birth certificate copy or a replacement birth certificate vary a lot between various countries or states. 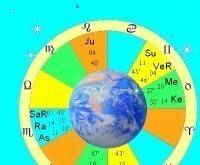 Have a look at our link list in the astrology directory regarding birth certificate copies.